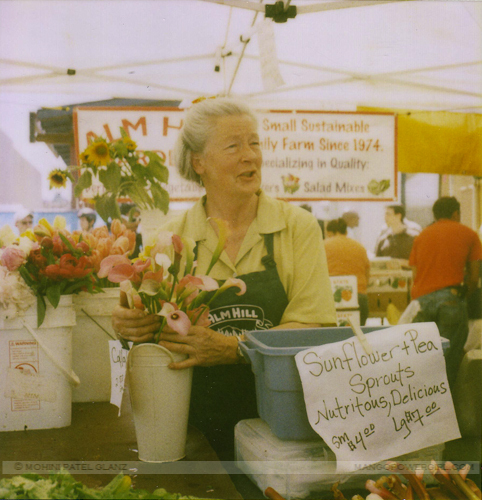 This is a polaroid of Gretchen of Alm Hill Gardens. Local Farmers Ben & Gretchen of Alm Hill Gardens had a house fire on 24th May. While the house did not completely burn down, per Seattle Weekly, the couple lost most of their belongings and the damage to their house is not covered by insurance. They need help, and you can donate via the Good Farmer Fund for the next two weeks. 100% of this fund benefits farmers as there is no overhead cost. Cook Local has more about it. If you are a local then you can donate via Ben and Gretchen fund at any NFMA or directly to the Alm Hill stand at Ballard Farmers market. 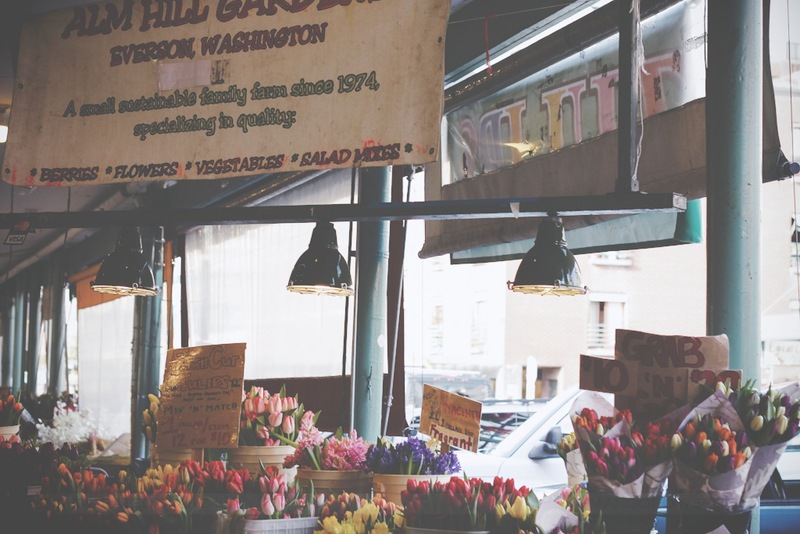 The Neighborhood Farmers Market Alliance (NFMA) has agreed to match contributions up to $3,000. 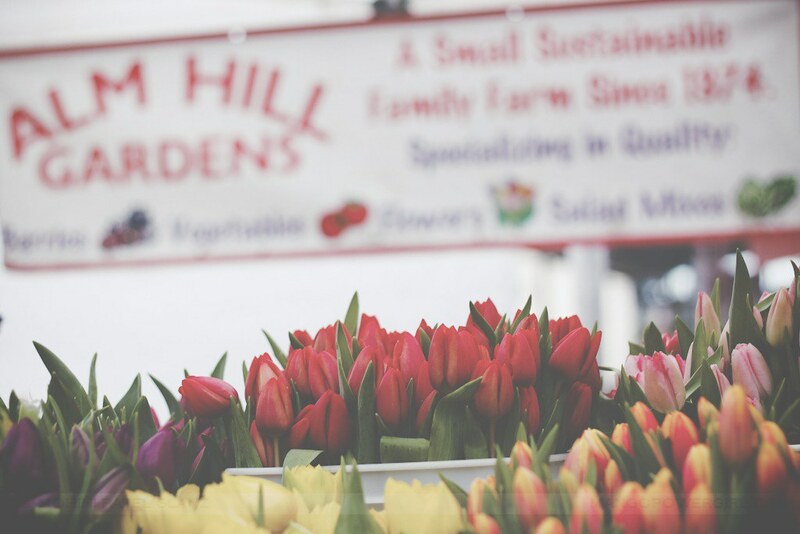 Alm Hill grow the most beautiful flowers, and the most delicious berries and vegetables. 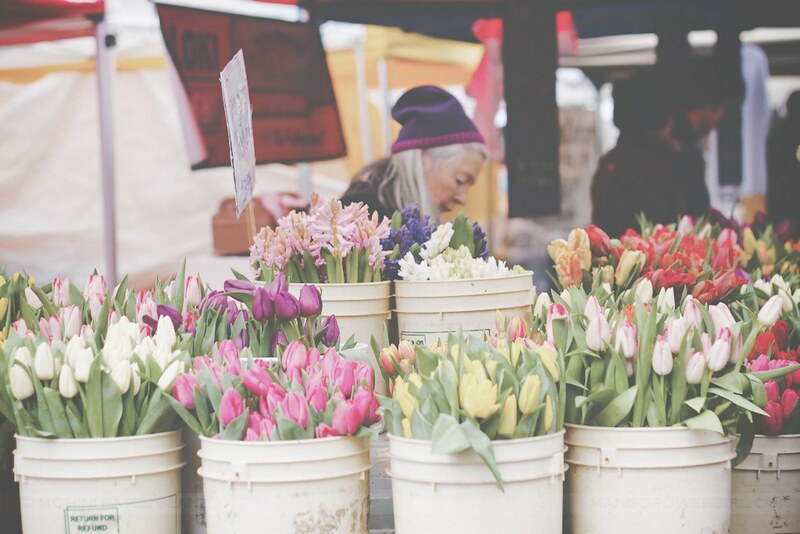 I have bought so much great spinach, purslane, sun flower sprouts, radish, berries, and of course tulips from them. We first met Gretchen and Ben at the premier of the incredible food documentary, Good Food and have been buying from their stand at Pike Place Market and Ballard Farmers’ Market regularly ever since. If you’d like to know more about them, I suggest you watch that documentary film. Heck you should watch it regardless! I love Alm Hill. That's where I buy my tulips every spring! hahahaha I never thought of it that way!